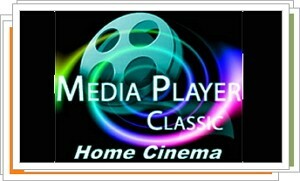 Media Player Classic Home Cinema is a free program for playing movies. This enhanced version of the abandoned program Media Player Classic. Media Player Classic Home Cinema is characterized by a very complex interface, much like its ancestor. It is very clear and light, very comfortable with using it. Media Player Classic Home Cinema does not require installation and does not load on system resources, which works very well even on older machines. The modest package, Media Player Classic Home Cinema hides a lot of possibilities. The program can play DVD movies, and has built the most popular codecs. It also supports subtitles, and even has the function of improving image quality. Media Player Classic Home Cinema is a movie player for lovers of simplicity. It works perfectly and has many useful features.